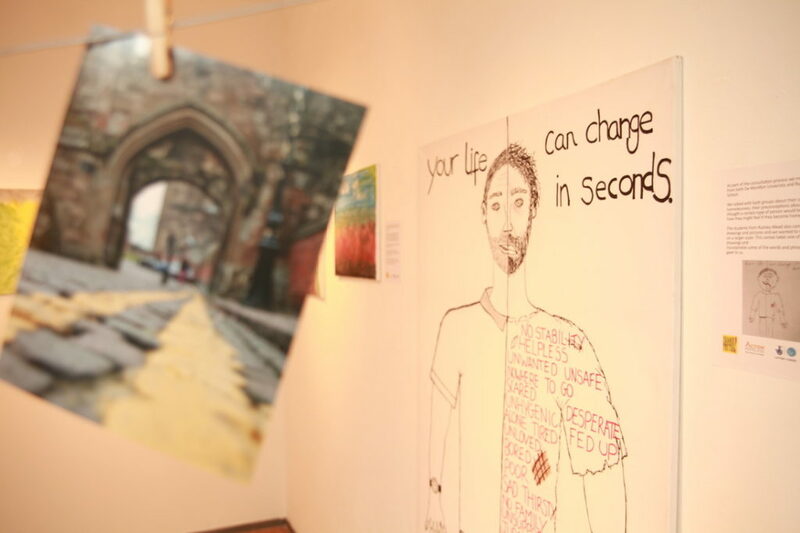 Action Homeless is looking for volunteers to support a new art autumn art project. With autumn around the corner, we are hatching a plan of what to do as it gets colder. We are heading indoors, getting the kettle on, and giving our client’s an opportunity to get creative. But we need your support! Action Homeless works with vulnerable people every day, each facing different issues and each with a different story to tell. Art is an important vehicle that our clients can use to express their emotions, escape the stress and anxiety of everyday life, and tell their stories. Just two hours of your time is all it takes to support this project and help make a difference. We are looking for volunteers to facilitate creative sessions, each with a different focus. We would like to hear from anyone who is interested, whether you are artistic, have a creative talent or hobby, or are friendly and have the enthusiasm to get involved. As a volunteer, you will have the freedom to base a session around a particular skill or hobby that you have. Alternatively, you can facilitate a session based off one of our simple but satisfying plans! Click here to see the full role description and all the extra details.